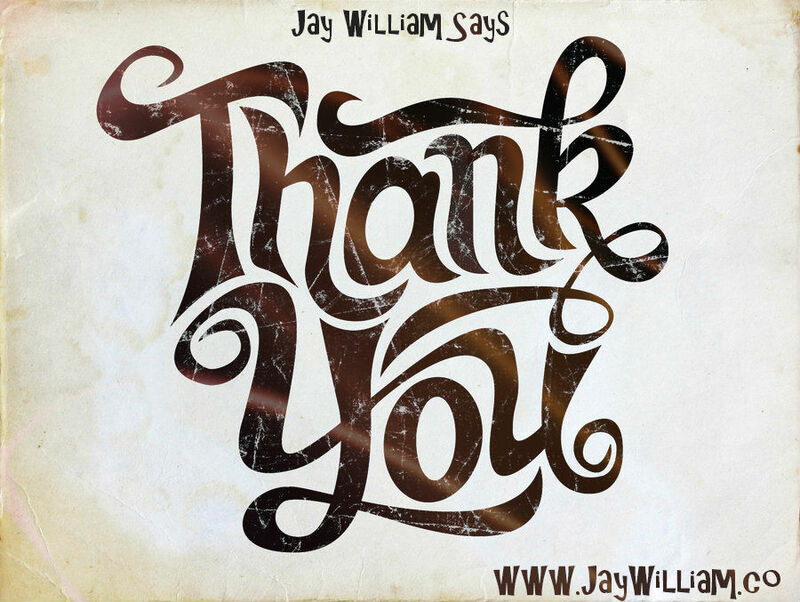 Hi, I’m Jay William. First and foremost, I would like to thank God for blessing me with a wonderful family, who have often been my motivation to keep pushing forward, even through the toughest of times. journey was filled with pot holes and detours all along the way. I still haven’t “arrived.” But then again, I don’t think I have a final destination, except, of course, when I’m dead! journey of life than my amazing wife. Thank you for being my rock and for your years of support and thoughts. Thank you for not laughing at my wild and sometimes crazy ideas. Thank you for pretending to listen to me when you really wanted to cover your ears. Thank you, Penny. from anyone. In fact, there was a lot of resistance. I felt alone starting out. It seemed like no one believed in me or my ideas enough to help me get going. It’s rough not having a cheerleader in your corner, especially in the beginning when you have doubts yourself. myself that I had what it takes to make it. I do owe a big thank you to my very good friend Jacques Eugene Phillip for believing in me enough to take a risk by financially backing up my first idea when no one else would. Thank you for putting gas in my tank so I could get started on the road to success. I have to thank my mom for her crazy love and for being my friend. Thank you to my father, who instilled in me values of integrity and character. sharing in something with me that I am very passionate about. If you know someone who could use help, let them know about my blog. They’ll love you for it.